In the area look for any vehicle (car or van) with our violet logo to find us easily. 1. 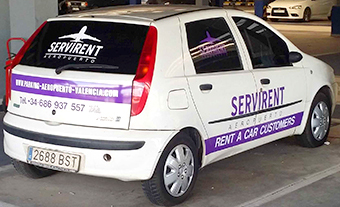 Locate the Fiat Punto Blanco, located in the square 759 of the second floor (blue color) inside the public car park (P1) of Valencia airport in Valencia. Park your car near it and close it. 2. Enter the keys and the parking ticket inside an envelope with the following information (it is advisable to bring it already written from home): First name Car registration Date and time of return of your trip Return flight number Telephone and / or contact e-mail. Enter the envelope inside the car’s mailbox (you can locate it on the left rear door of the Fiat punto on the side closest to the wall). To make sure the envelope comes into our hands, never give the envelope to anyone who does not open the car, or simply put it in the mailbox, (remember that it is in a public parking lot). 3. That’s it! 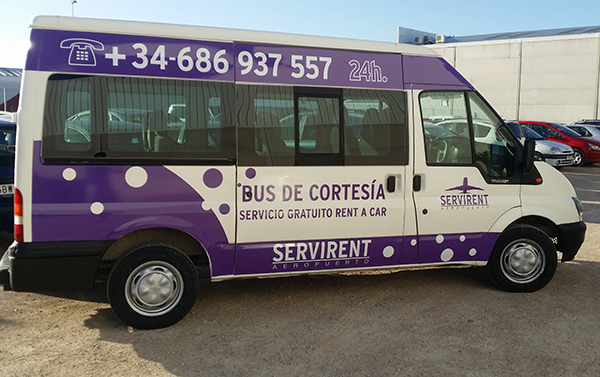 Now you can take your flight without problems, soon our staff will pick up your car and take it to our garage. 1. Return to the Fiat Punto when getting off the plane. We are pending the flight and nothing else lands we take your car to the same place where you left it. (Please do not hesitate to contact us if you have any problems with luggage or other items. 2. We will be waiting for you with your car ready to leave. We charge when you pick up your car and we will give you the already paid ticket so you can leave the parking lot.